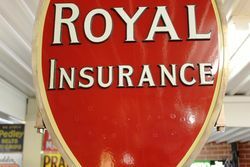 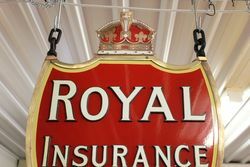 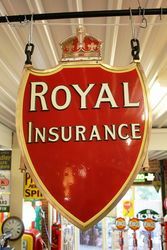 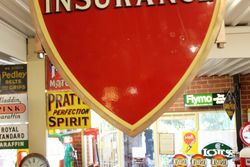 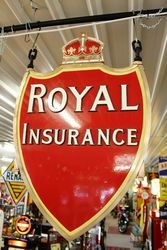 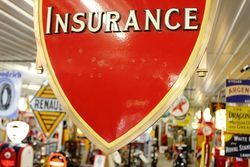 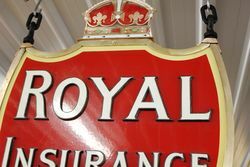 Royal Insurance Shield Enamel Sign. 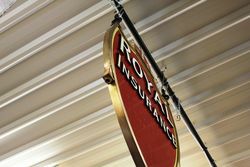 This Lovely Royal Insurance Shield Double Sided Enamel Sign has all Raised Lettering and is Fitted into a Bronze Frame.. 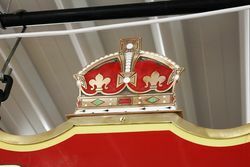 Wonderful Example and Extremely Heavy. 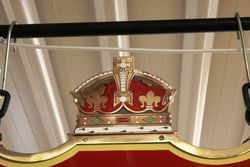 55cm wide x 84cm high.